Oonigura of a huge rocky mountain. 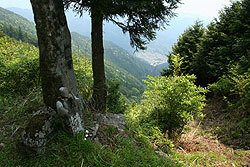 It arrives at about 4 km from Akakura, and a summit will be reached, if a car is parked and you walk along it for about 5 minutes. This place that was also a place of practice of mountaineering asceticism is a special ground. The free climbing using the rocky mountain here can also be experienced. 2-3 minutes by a car. 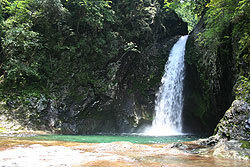 There is also a way from which it gets down to the basin of a waterfall besides the way at which it looks from a top. A butterfly seems to have extended feather if two patterns are united. About 30 minutes on foot the guidance signboard in along the prefectural road No.52. 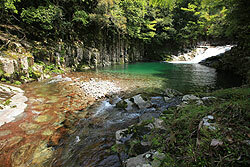 It may be a little adventure, but we recommend you to return at the time of rise of water. The way to which it gets down from a peak to Akakura is a beautiful stone pavement. There is a place out of which springwater has come on the way. 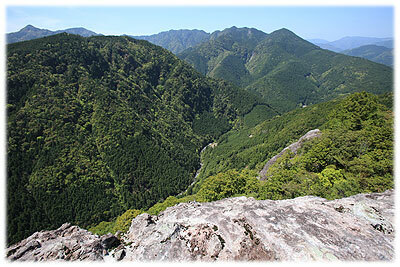 It is the Kumano-kodo. 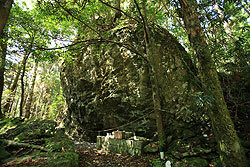 It is held in the Omori shrine on November 23 every year. It began from about 700 years before to the festival which celebrates the good harvest of rice. In addition to a divine work or entertainment, one spokesperson comes out at a time from three areas, unrefined sake is made, and a parishioner and a tourist are treated. 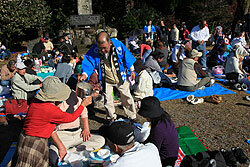 It is a traditional festival representing Kumano. From the white torii along a way, if it gets down from stairs, Oiwa's object of worship will go into eyes. It is the power spot introduced also in the newspaper. A festival is on the 1st Sunday in November every year. 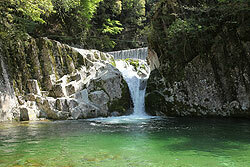 Including a place and a splendid place of nature letting feel the history there is the highlight in various ways. Please refer willingly if you visit Akakura.